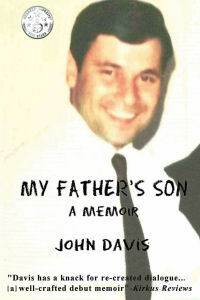 John Davis’s “My Father’s Son.” Told with raw honesty and deep emotion, this book is a memoir of fear, abuse, survival, and identity while growing up in the Brooklyn streets. The author’s earliest memory is of a gun held by his father and pointed at his mother’s head. Davis recounts how he spent his childhood in constant terror and learning to fight back. But it was much later that he learned the most shocking thing of all about his father, his past, and himself.